Carbon brushes for electric motors. When the engine works, the motor brushes are volumetrinc consume, they needed to be replaced with new ones. 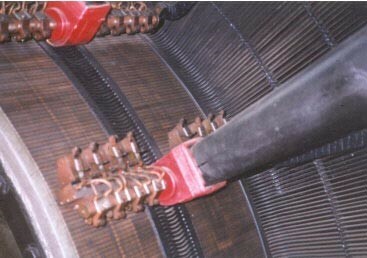 In the work with commutator its surface should be subjected to regular maintenance. In order to reduce the effects of mechanical abrasion and firing an electric arc. We offer a full range of carbon brushes for alternators, starters, electric motors, pumps and others.